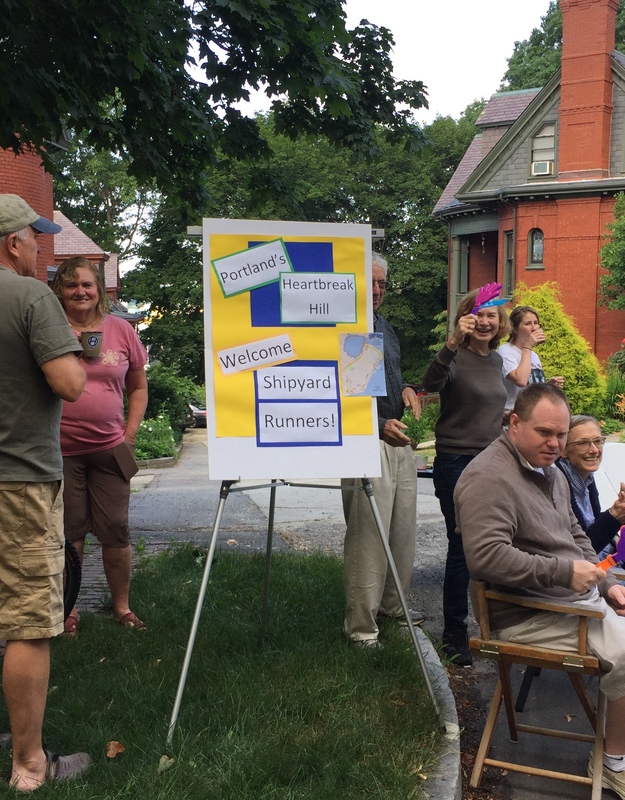 I broke my big toe last July, one week before the Shipyard Brewing Old Port Half Marathon in Portland, Maine. I was disappointed to miss the race and vowed to run it this year. 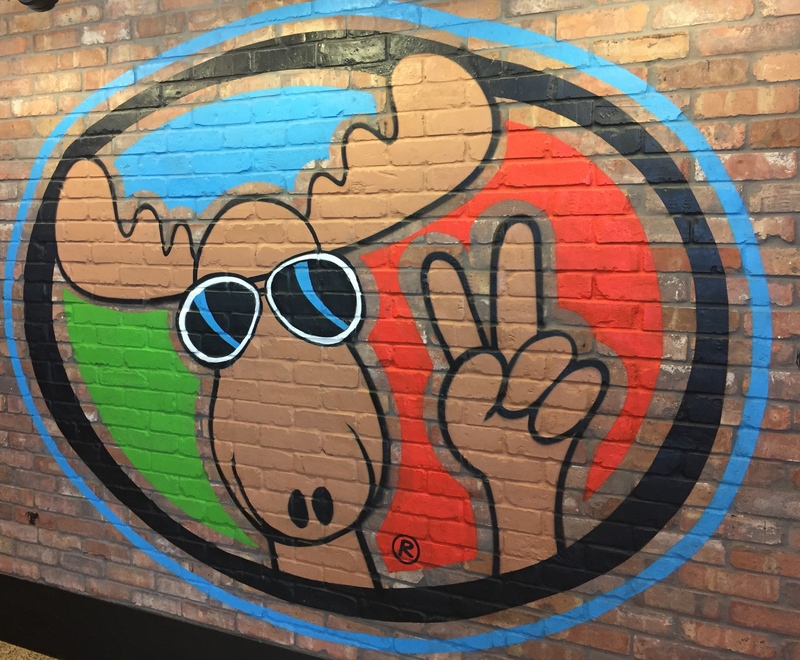 Last weekend I headed to Portland with expectations of running, eating lobster rolls, and seeing a moose. The Old Port Half Marathon is the second largest running event in Maine, which makes it sound like it is a huge race. There actually were only about 2,500 runners in the half marathon. I enjoy smaller races like this. They have a more relaxed and friendly atmosphere. Although this would have been the perfect race to dress as a lobster, I didn’t see anyone running in a costume. With the warm July weather it would have been unbearable to run in a lobster outfit. The course gave runners a good tour of Portland. We first headed out to the west end of the city. There was a mile long hill there that rivaled the infamous Heartbreak Hill in Boston. After looping through the west end neighborhoods, we headed towards Back Cove at the other end of Portland. We ran over 3 miles around Back Cove on a flat packed dirt trail. I took advantage of the flat terrain to make up some time. I was in a hurry to finish the race. While other runners were probably running to get the free Shipyard Brewing beer at the finish line, I had other plans. Casco Bay Lines has twice daily rides on the Mailboat Run. Passengers enjoy a scenic tour of the islands in Casco Bay around Portland. I was running to make the 10 AM mailboat. I ran over the finish line, grabbed my medal, bottle of water and wet towel, and kept running straight back to my car. After a quick change of clothes, I headed to the ferry terminal to hop on the mailboat. I boarded the boat and snagged a seat on the top deck at the bow so I would have a great view. As we waited to depart, I pulled a banana out of my bag. I had skipped the free pizza at the finish line and needed something to eat. 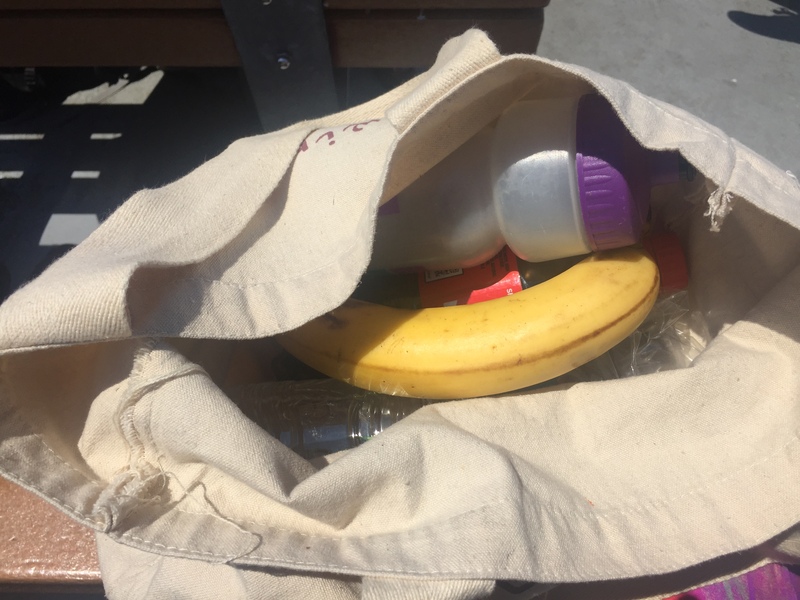 At the sight of my banana, the woman sitting next to me yelled “No bananas on the boat!” Her husband told me to throw it overboard. I wasn’t sure what the issue was with a banana so I asked them why. I learned superstitious fisherman believe it is bad luck to have bananas on a boat. They won’t catch fish or will experience mechanical issues with their boat. Her husband explained sunken ships have been found with bananas in their holds. I quickly ate my banana before we left to protect the mailboat from harm. The mailboat was a fun way to see Casco Bay. The beautiful weather meant there were plenty of boats on the water. The captain narrated during the ride, explaining the history of the bay and providing other interesting information about Portland. 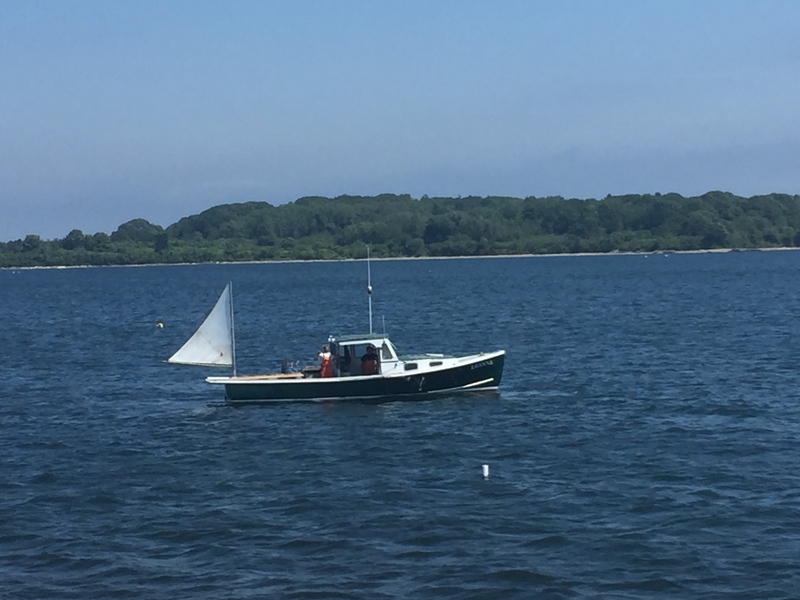 The mailboat made stops at five islands —Little Diamond, Great Diamond, Long, Cliff and Chebeague – dropping off passengers, mail, and freight including a few cars. Several islands in the bay are only populated in summer months, though a few hardy folks live on others year round. We had an extended stop on Cliff Island where I went ashore to look around a bit. 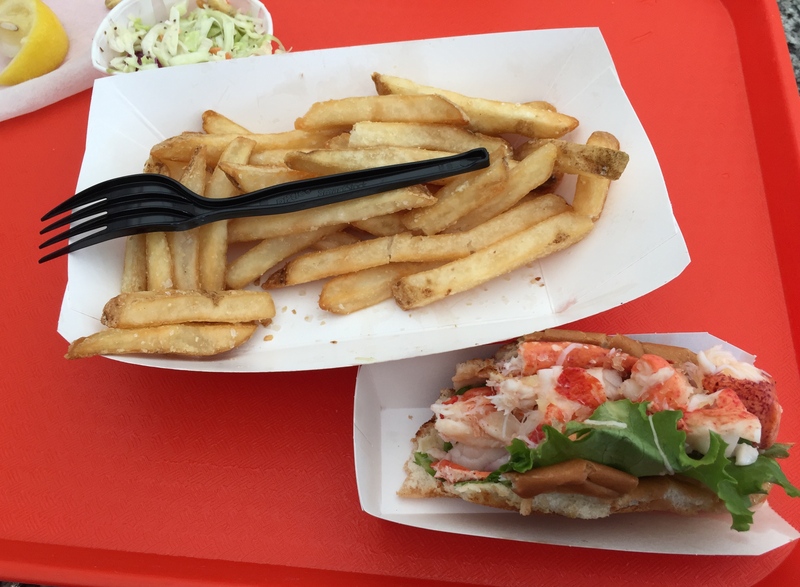 When the boat returned to the ferry terminal in Portland, I headed for my post-race lobster roll. There is so much more to see in Maine beyond Portland. For this trip I met my goal of running a race and eating lobster rolls. Sadly, the only moose I saw was on a sign in the airport. The mailboat ride, though, made up for not seeing a moose. I ran pretty fast to make that boat and I was not disappointed. Spending time on the water with the sea air and sunshine was an unexpected pleasure. I definitely plan to visit Maine again. Maybe I will see a moose the next time I go.